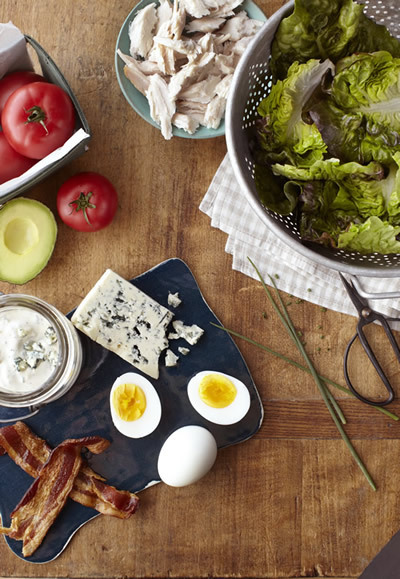 In a large bowl, combine the lettuce and toes with the turkey, bacon, avocados, tomatoes, blue cheese, and eggs. Just before serving, pour the dressing over the salad and toes. Garnish with fresh chives.